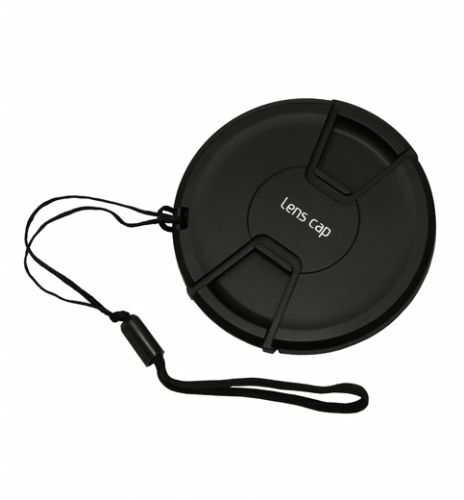 Lens Cap provides protection from scratches and minor collisions for camera and camcorder lenses. Lens covers come standard with most cameras and lenses. One end of the holder has an elastic band which attaches securely around the lens barrel, and the other end fastens to the lens cap.